several years: better late than never! We have begun with a historical flashback from Augusto Mascarenhas Barreto’s bilingual (in Portuguese and English) book on Fado / Origens Líricas e Motivação Poética (Lyrical Origins and Poetic Motivation). 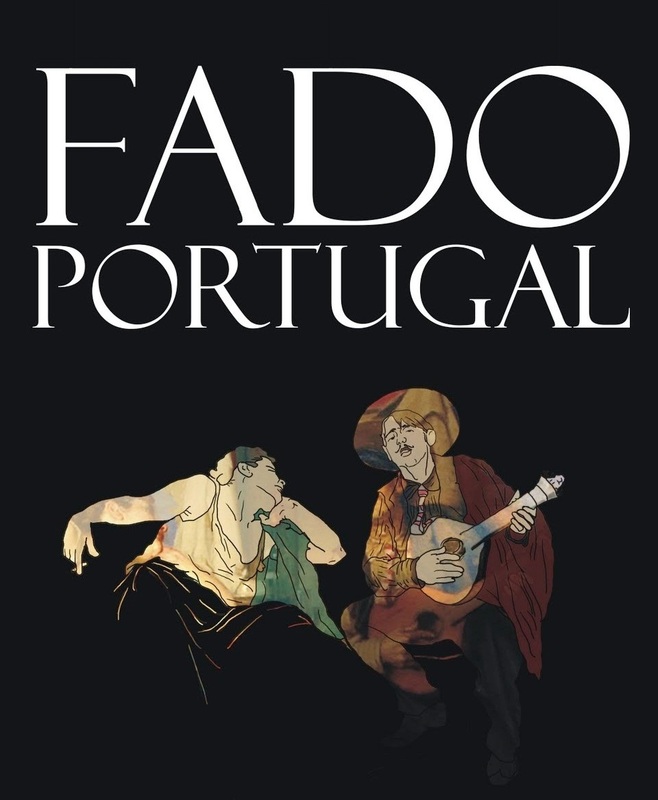 It is the starting point of the first chapter (Identity and Origins), just after the preliminaries about fado: Portugal’s urban folk song was born in two of its oldest cities, Lisbon and Coimbra (with a distinct form in each); it’s Provençal in origin with Arabic melodic and poetic influence; it’s a way of life (like rebetiko, flamenco, blues, tango, or any other authentic folk mode of expression, however “humble”, or even “marginal”, it is considered in origin); it’s dominated by nostalgia, by saudade, a keyword in fado coming from the Arabs, as well, and found corrupt elsewhere: it is Cape Verde’s sodade characterizing its nostalgic song, morna. These homonymous toponyms are quite strange, indeed. It is not only the Ἕβρος (Hebrus or… Maritsa) in Thrace, the river dividing Greece and Turkey; it is also Caucasian Iberia, west of Caucasian… Albania (in today’s Azerbaijan), i.e. Georgia, in the hinterland of ancient Colchis, Medea’s homeland, with the Golden Fleece and Jason’s Argonauts. Logic says the Iberians’ cradle should have been there – but, on the contrary, most scholars show to the direction of North Africa, or the eastern Mediterranean. North of the Greater Armenia, between the Black and Caspian Seas: Colchis, Iberia and Albania. The Amazons were further north. “The Hellenic Moira is to be found in the spirit of Fado”. (a) The… “polytropic” versions the Homeric word “πολύτροπος” (polytropos) was rendered into English by Richmond Lattimore, George Chapman, Alexander Pope, Allen Mandelbaum, Martin Hammond, Albert Cook, Robert Fagles, Robert Fitzgerald, Samuel Butler, Emil V. and D.C.H. Rieu. (b) Ulissea, i.e. Odyssey, from the Latin version of the hero’s name, Ulysses or Ulisses, hence Ulissípolis (Odysseupolis) > Ulissipo or Olisipo. 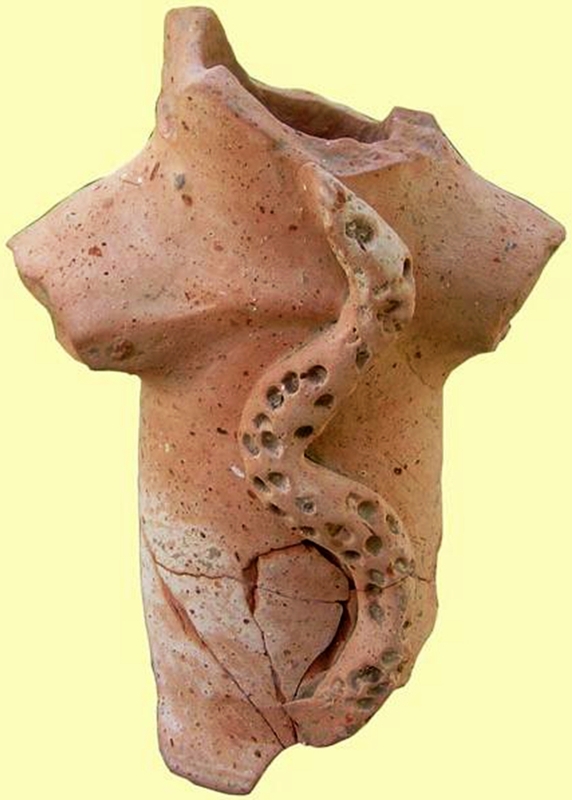 The “Snake God” found in Tavira – the only Portuguese town, next to Huelva, where the Phoenicians actually settled. 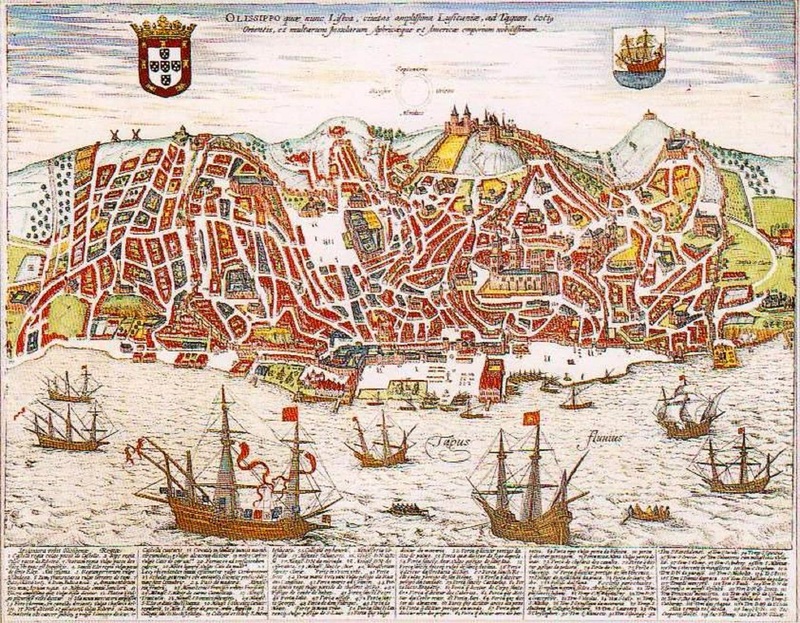 “In ancient times, Cagliari, the current capital of Sardinia, was called Caralis. In all likelihood, the toponym derives from the Semitic word car, which means ‘white rock’”. (c) Habis, Habido, Abido, Abidas, Αbidis, Gabis, Gabid: his name’s versions in the various variations of the myth. Consequently, Calypso was not a nymph on the Isle of Ogygia, as Homer says. 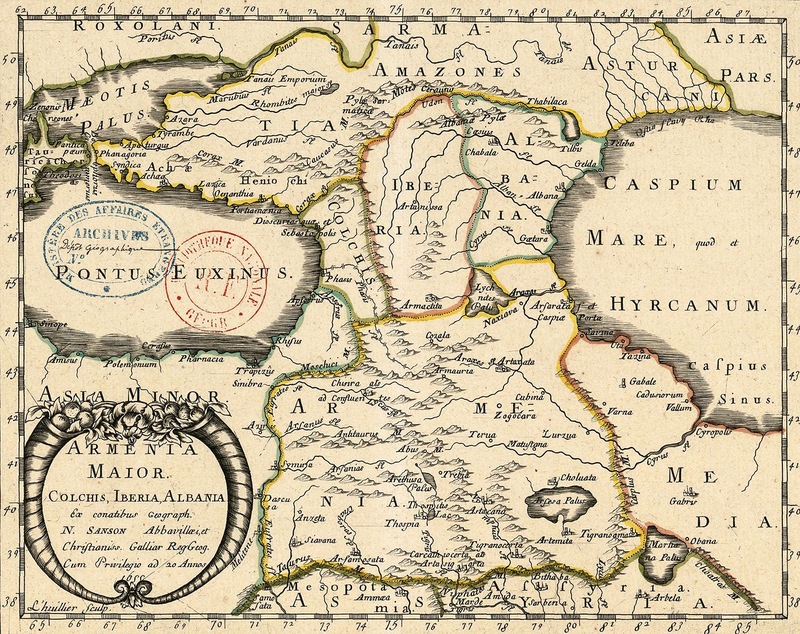 Deviating from the greatest of the rhapsodes, the Lusitanians adopted Calypso as a princess of Iberia and daughter of Gregoris-Gárgoris, not Atlas. Note that we remain in the same places that Heracles had toured earlier for the golden apples of the Hesperides and Geryon’s cattle. 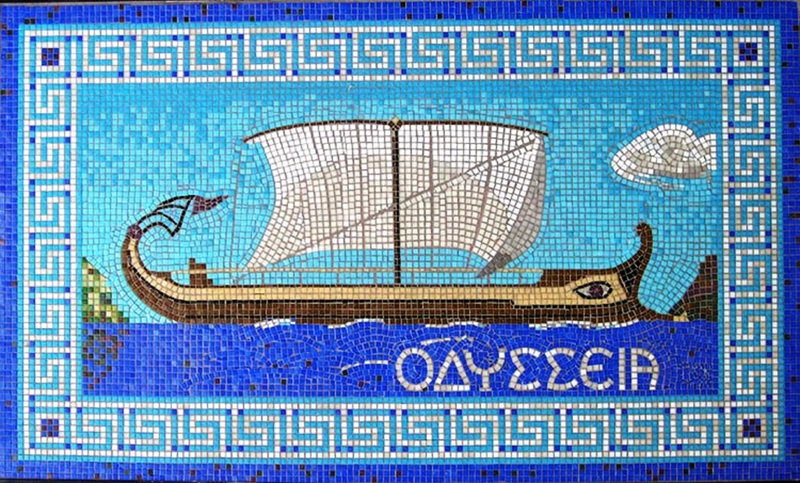 It is assumed that Ogygia must have been nearby the Pillars of Heracles, since Odysseus had to travel for 18 days in an easterly direction to reach Scheria, the Phaeacian island, which many identify with Corfu. There’s a chance that Ogygia was one of the Pillars, today’s Spanish Ceuta on Moroccan soil, opposite the other Pillar, the Rock of Gibraltar. Although it is not an island now, it may have been one in the days of Homer. According to Hesiod, the conqueror of Troy – and also of numerous… women (for he was so “skilled”, “ingenious” and “resourceful”) – had in total 16 sons and a daughter from six women. But in his long list, he includes no Abidis, Habis, or what. Odysseus had three sons from Penelope, one from the daughter of Thoas the Aetolian, eight sons and a daughter from Circe, two sons from Calypso, one from Callidice, the queen of Thesprotia, whom he later married, and another from Euippe, daughter of Tyrimmas, king of Dodona in Epirus. 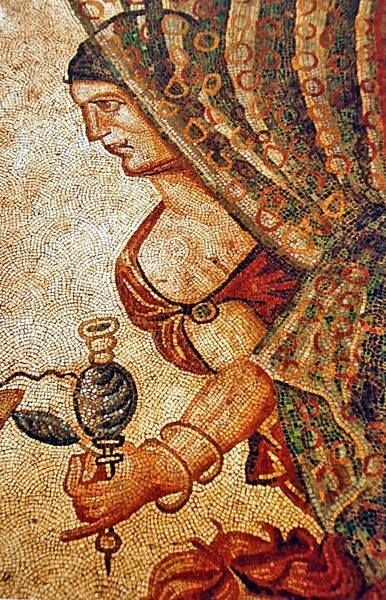 Note that, if we accept Hesiod’s genealogy of Odysseus, with nine children from Circe and two from Calypso, we must reverse the time he lived with the two nymphs, according to Homer: one year with Circe and seven with Calypso. With such a “proliferation”, of course, Odysseus was in danger of falling by the hand of some… close relative – something that did happen in the sequel of the Odyssey, in the Telegony or Thesprotis, the Epic Cycle’s final episode, attributed to Eugammon of Cyrene or Cinaethon of Sparta. 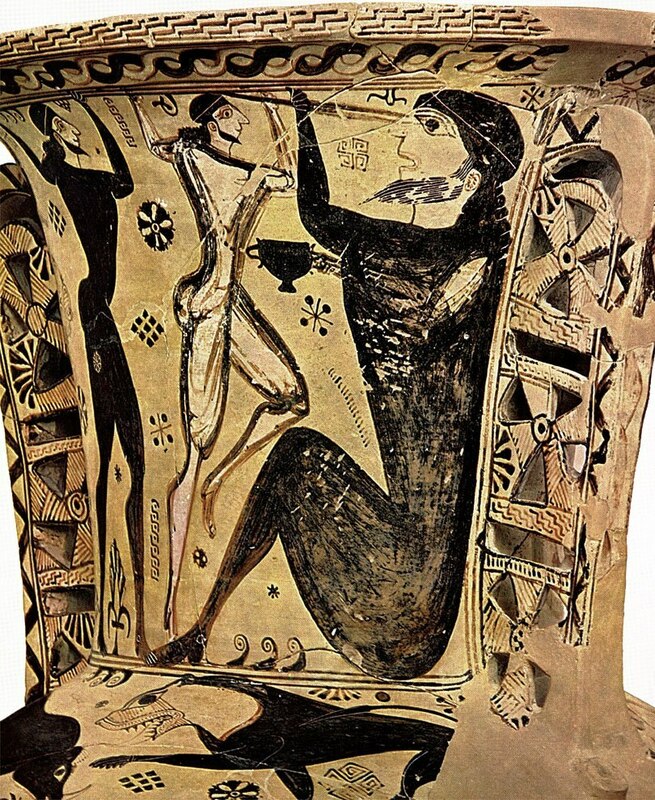 Circe’s son, Telegonus, so the story goes, while searching for his father, landed on Ithaca where – according to the favourite custom of the era – started plundering and slaughtering, among others, also his genitor. Overwhelmed with remorse, when he realized he had become a patricide, he collected Odysseus’ body and, accompanied by his half-brother, Telemachus, and Penelope, voyaged back to the island of his mother, who turned them immortal. The “saga” ends there with a happy end worthy of… a Greek film of the ’60s: with the marriages of Circe with Telemachus and Penelope with Telegonus! Finally, only poor Odysseus was enveloped by murky darkness! “When Abidis was born,” according to Barreto, “Gregoris ordered him to be thrown in a cave to be devoured by wild beasts. In answer, however, to the entreaties of his daughter, he consented that the child should be delivered to Fate, according to primitive custom, and the boy was put in a basket and taken away by the current of the river [Tagus]. (e) A hind adopted him and when the child was later found in a wild state by some huntsmen, his mother recognised him by a mark. Gregoris forgot his former anger and gave him schooling, so that he could succeed him in the government of the peninsula. The name Esca-Abidis (Escalabis) in Greek means ‘food of Abidis’,(f) in memory of the place where he was reared by the hind. (e) Quite biblical the image, recalling “Moses baby” on the waters of the Nile… Conclusion: there’s no originality in the Judaic mythology, although it has since acquired “dogmatic authority”… (See also Chronicles 13 and 16). (f) Ἐσχάρα (eschara): hearth, fire-place (like ἑστία); pan of coals, brazier; watch-fires (of the camp); sacrificial hearth; fire-stick. Ἑστία (hestia): hearth of a house; the house itself, home; household, family; altar; the hearth goddess Hestia, or Vesta in Latin. Hestiatórion is the Greek word for restaurant. Roman mosaic in Pedrosa de la Vega (Castile and León). The only known evidence of transparency (veil). “As regards history, the Romans rebuilt the town in 153 AD and called it Scalabis-castrum. Julius Caesar raised it to the status of a capital – one of the four in Lusitania… In the year 500 when the Visigoths came to Lusitania, the barbarians and Lusitanians formed in that region a single people. In 632 the town of Tomar was the scene of the martyrdom of Irene… a nun. Her body, thrown into the river, was carried down as far as Scalabis… Nineteen years later, King Recceswinth, who was Catholic,(g) changed the name of Scalabis to Santa Irene. When… the Arabs occupied the town (715), they called it Chantireyn” – and that’s how we “arrived” to Santarém. GRAECO-IBERIAN TIES, clearly suggested by Portuguese mythology, date back to much earlier times than the Trojan War, to the pre-Hellenic era of Minoan thalassocracy in the Mediterranean: they were Creto-Iberian. A common cultural characteristic of the Cretans and the peoples of Iberia was bull worship and Bullfighting: Minoan bull-leaping (ταυροκαθάψια, taurocathapsia; see also Chronicle 12. Minoan Cretan Thalassocracy). Creto-Iberian ties due to Minoan thalassocracy in the Mediterranean. 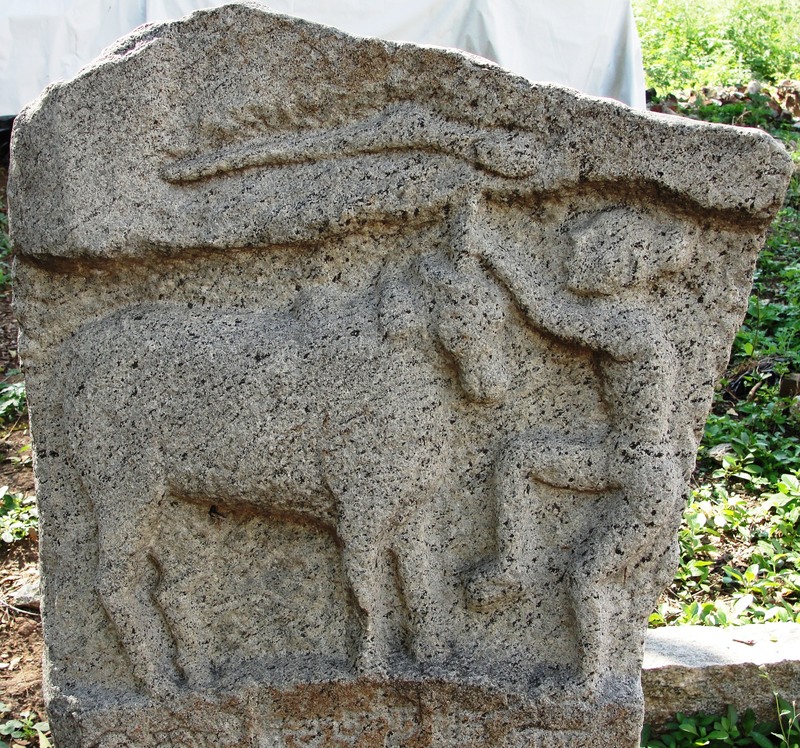 A common cultural characteristic was bull worship and bullfifhting. GRAECO-IBERIAN TIES, clearly suggested by Portuguese mythology, date back to much earlier times than the Trojan War, to the pre-Hellenic era of Minoan thalassocracy in the Mediterranean: they were Creto-Iberian. 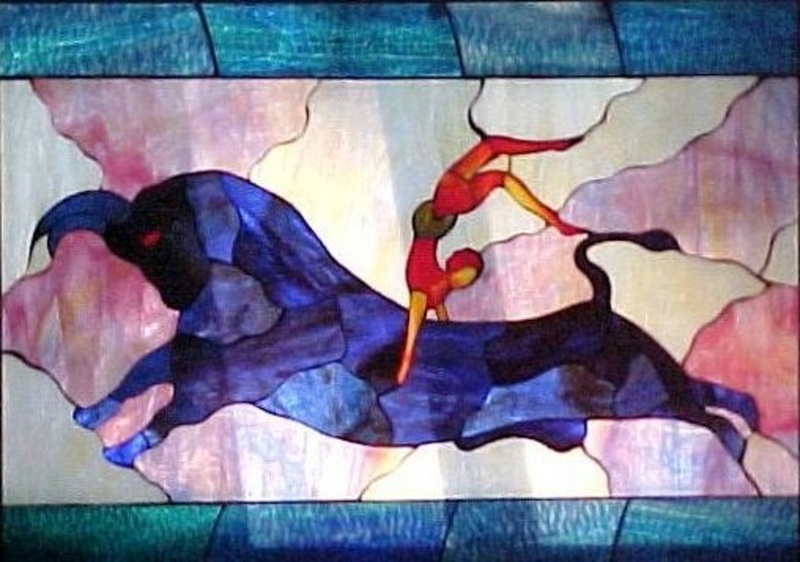 A common cultural characteristic of the Cretans and the peoples of Iberia was bull worship and Bullfighting: Minoan bull-leaping (ταυροκαθάψια, taurocathapsia; see also Chronicle 12. 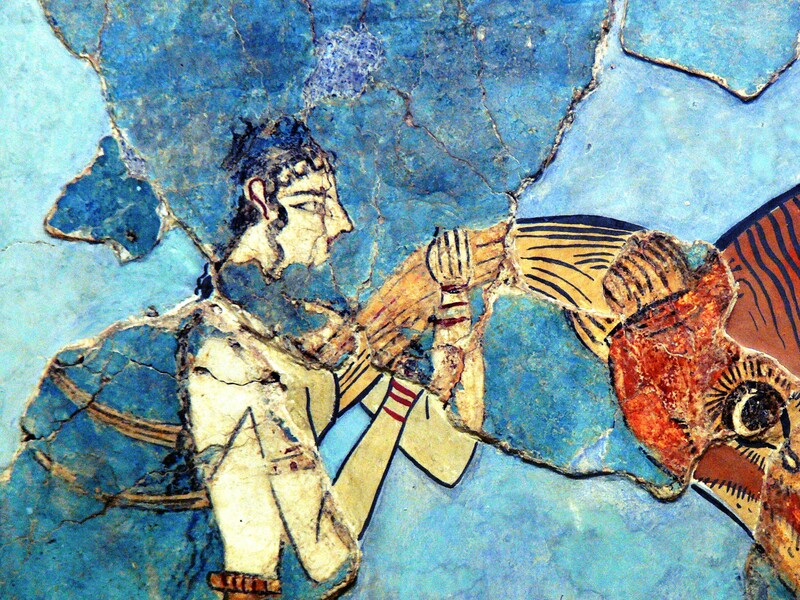 Minoan Cretan Thalassocracy)(h). (h) The ancestor of the Iberian bull, aurochs, was described by Julius Caesar as “somewhat smaller than an elephant, swift and powerful; attacks both men and animals.” Charlemagne hunted a similar animal, known as bubalo. It is likely that the savage creature killed by St. George was an aurochs and not a dragon as the plastic artists present him. The aurochs (aur = wild + ochs = ox), or urus, is the bos primogenius which is now extinct. It survived until 1627 in a forest of Poland. In his Memoriae Historicae, Strabo, geographer and historian of the Roman era, who was born in Amaseia of Pontus (64-63 BCE) and died probably in Rome (24 CE), referred to the Lusitanian equestrian bullfight (“…the peoples of the coastline, who are fond of meeting, on horseback, the fierce Hispanian bulls”, he wrote). Apart from bullfighting on horseback, there was also the pega – from the verb pegar, which means catch, seize… the bull by the horns! In one kind of pegas, the so-called forcado was not only completely unarmed, but had nothing to fool the attacking bull (e.g. 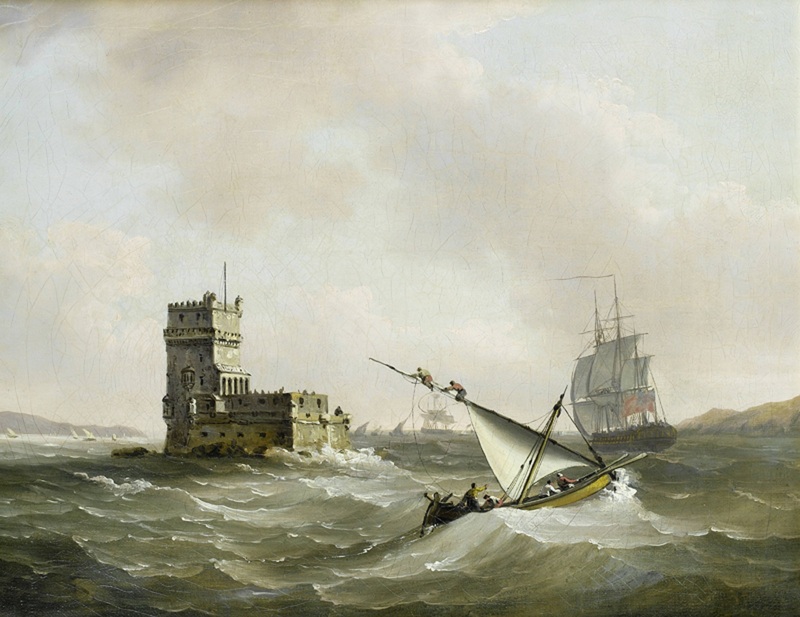 cape). He should withstand the initial impact (the tremendous weight of the animal plus speed), and also the subsequent shaking of the bull’s head so as to get rid of an unwelcome rider on his neck. There were more forcados, usually eight, as assistants in the pega to master the bull. It is the picture we have from the Minoan bull-leaping in an extant fresco of Taurocathapsia dating back to the 15th century BCE. Isn’t it impressive? Even more if we take into account that these Cretan “forcados” included women! But if you talk about so extensive exchanges going on five millennia ago – whether it is bull-leaping, or even bull shipments from Iberia to Crete – how is it possible to be concerned about trivial “problems”, as to who were the initiators of this practice? 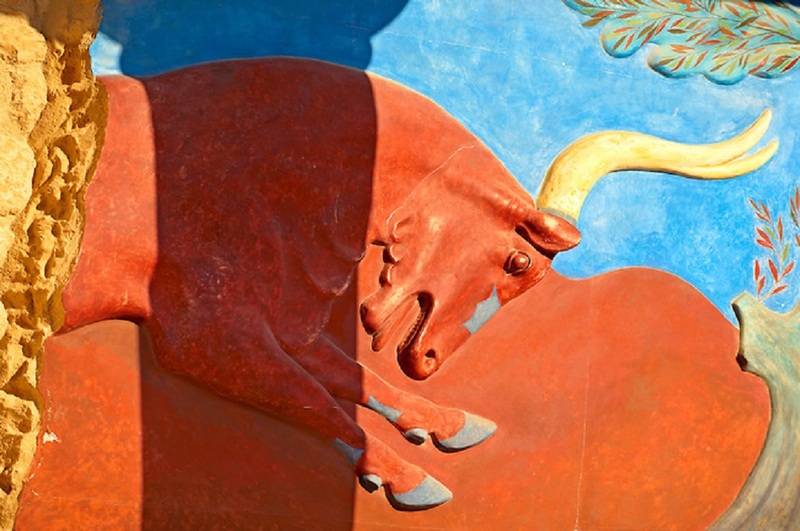 ● Bull-leaping was a Minoan ritual connected with bull worship where the bull was not killed, contrary to bullfight. When it passed to the Mycenaeans, it was called in Greek ταυροκαθάψια; from ταῦρος (“bull”) and κάθαψις, a rare noun composed of the words κατα- (“across”) and ἅπτομαι (“touch, reach”); thus, literally, “touching of the bull”. Representations (frescoes, statuettes, seals, etc.) of the ritual, outside Crete or Hellas, have been found in Asia Minor (Smyrna, Hattusa), in Canaan, Egypt, Bactria, and the Indus Valley. 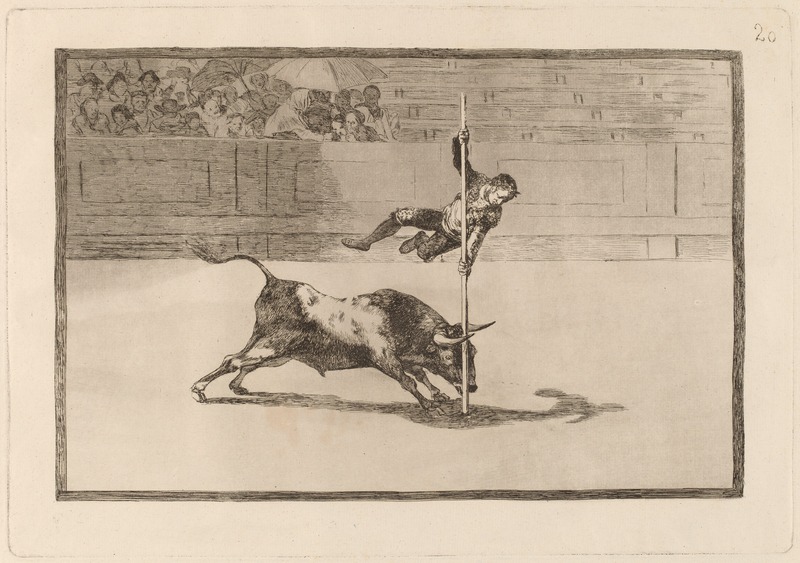 ● Non-violent bull-leaping (taurocathapsia), practiced in Spain, was called recortes. The recortadores competed at dodging and leaping over bulls without cape or sword. Some used a long pole to literally pole-vault over the charging animal, which was not restrained by any guiding rope or similar safety device. The recortes were common in the 19th century. 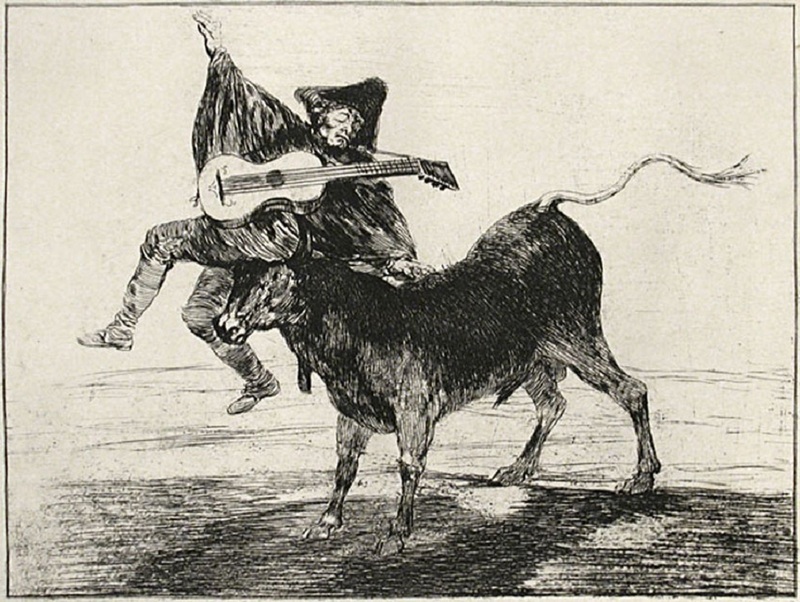 Etchings by painter Francisco Goya depict these events. ● In neighbouring Portugal, the bullfight’s second stage, called pega (“holding”), was the one referred to by Barreto. The so-called forcados challenged the animal directly without protection or weapon of defense. The front man provoked the bull into a charge to perform a pega de cara (face grab), secured its head and was aided by his fellows who surrounded and subdued the animal. The bull was not killed in the ring, in the audience’s sight, but by a butcher. After an exceptional performance, some bulls, were healed, released to pasture until their end days and used for breeding. ● A ‘safer’ style of this ritual practiced in French Gascony used young cows instead of bulls, which were furthermore guided by long ropes attached to their horns, so that they ran directly towards the sauteurs (“leapers”) and écarteurs (“dodgers”), and were restrained from trampling or goring them should they miss a trick. ● In faraway South India, in Tamil Nadu, there was a related ritual, the jallikattu, as part of the harvest celebration. The participants tried to leap onto a bull, reaching for the money packets tied to its horns as a prize. The event has been depicted in rock art dated at least to the 3rd century BCE. “ΣΕ ΜΑΚΡΙΝΟΥΣ ΚΑΙΡΟΥΣ, πριν ακόμη από τον 6ο αιώνα π.Χ., οι Έλληνες αποίκισαν το μέρος που αποτελεί τώρα πορτογαλικό έδαφος, εκμεταλλευόμενοι ορυχεία, ιδρύοντας και περιτειχίζοντας πόλεις, ιδίως κατά μήκος των ακτών και στις λεκάνες των μεγαλύτερων ποταμών”. από χρόνια: κάλλιο αργά παρά ποτέ! Με μια τέτοια ιστορική αναδρομή, αρχίζει ο Augusto Mascarenhas Barretο το δίγλωσσο (πορτογαλικά και αγγλικά) βιβλίο του για το Fado / Origens líricas e motivação poética (Λυρικές πηγές και ποιητική έμπνευση). Είναι η αφετηρία τού πρώτου κεφαλαίου (Ταυτότητα και πηγές), μετά από τα προκαταρκτικά περί fado: το αστικό λαϊκό τραγούδι τής Πορτογαλίας γεννήθηκε σε δυο από τις αρχαιότερες πόλεις της, τη Λισαβόνα και την Coimbra (με το δικό της διακριτό είδος η κάθε μια), έχει προβηγκιανή προέλευση με αραβικές μελωδικές και ποιητικές επιρροές, είναι και τρόπος ζωής (όπως το ρεμπέτικο, το flamenco, το blues, το tango, και όποια άλλη αυθεντική λαϊκή έκφραση, όσο “ταπεινή” ή “περιθωριακή” κι αν θεωρείται η προέλευσή της), και διακατέχεται από νοσταλγία, από saudade, μια λέξη-κλειδί στο fado, που και αυτή επίσης από τους Άραβες έλκει την καταγωγή. Απαντάται παραφθαρμένη κατά τι και αλλού: είναι η sodade τού Πράσινου Ακρωτηρίου, και χαρακτηρίζει το νοσταλγικό του τραγούδι, τη morna. Πολύ παράξενες, όντως, αυτές οι συμπτώσεις στα τοπωνύμια. Δεν είναι μόνον ο Έβρος τής Θράκης. Είναι επίσης η καυκάσια Ιβηρία, δυτικά τής καυκάσιας… Αλβανίας (στο σημερινό Αζερμπαϊτζάν), δηλαδή η Γεωργία, στην ενδοχώρα τής αρχαίας Κολχίδας, πατρίδας τής Μήδειας, με το χρυσόμαλλο δέρας, τους Αργοναύτες και τον Ιάσονα. Η λογική λέει πως εκεί θα πρέπει να βρίσκεται η κοιτίδα των Ιβήρων – όμως, οι πιο πολλοί ερευνητές δείχνουν, αντίθετα, προς την κατεύθυνση της ανατολικής Μεσογείου, ή της Βόρειας Αφρικής. Βορείως της μεγάλης Αρμενίας, μεταξύ Ευξείνου και Κασπίας: Κολχίδα, Ιβηρία και Αλβανία τού Καυκάσου. “Ο θρύλος”, σημειώνει ο Barreto, “αποδίδει την ανέγερση των αρχαίων τειχών τής Λισαβόνας στον μεγάλο Έλληνα ήρωα της αρχαιότητας, τον Οδυσσέα, βασιλιά τής Ιθάκης και πορθητή τής Τροίας, που υποτίθεται πως έδωσε στον τόπο τ’ όνομα Ulissea, απ’ όπου προέκυψε η λέξη Ulissipo [Olisipo]. (α) Το σίγουρο, πάντως, είναι πως στη Λισαβόνα εγκαταστάθηκαν οι Φοίνικες, γύρω στο 600 π.Χ., ονομάζοντάς την Alis Ubbo, που πάει να πει Ήρεμος Κόλπος. Την πόλη επισκέπτονταν σίγουρα Έλληνες και Καρχηδόνιοι, συνάπτοντας εμπορικές σχέσεις με τους πρωτόγονους λαούς που ζούσαν στην χώρα. Αυτές οι φυλές, αφού αναμίχθηκαν με τους Κέλτες και τους Ίβηρες, σχημάτισαν μια εθνική υποομάδα: τους Κελτίβηρες. (α) Ulissea, δηλαδή Οδύσσεια, από τη λατινική εκδοχή τού ονόματος του ήρωα, Ulysses, ή Ulisses, εξ ου και Ulissípolis (Οδυσσούπολις) > Ulissipo ή Olisipo. Υποθέτουμε, λοιπόν, ότι Caralis σήμαινε Κόλπος (ή Λιμάνι κλπ.) με τον λευκό βράχο, τοπωνύμιο που θα πρέπει να έδωσαν οι πανταχού παρόντες Φοίνικες. Μπορούμε, άραγε, να συσχετίσουμε τη σημιτική λέξη alis με την ινδοευρωπαϊκή ρίζα sal– (π.χ. salt, αλάτι στ’ αγγλικά, και ἅλς, αλάτι, αλλά και θάλασσα, στ’ αρχαία ελληνικά); Αν ναι, ινδοευρωπαϊκές και σημιτικές γλώσσες πρέπει να είχαν κάποιον κοινό παρονομαστή – τουλάχιστον σε θέματα κοινού ενδιαφέροντος, σαν τη ναυσιπλοΐα: αυτός ο κοινός παρονομαστής θα ήταν, προφανώς, δάνειες λέξεις από μεσογειακές γλώσσες, όπως λ.χ. τα μινωικά κρητικά. (β) Habis, Habido, Abido, Abidas, Αbidis, Gabis, Gabid: οι διάφορες εκδοχές τού ονόματός του, ανάλογα με τις ποικίλες παραλλαγές τού μύθου (βλέπε Χρονικό 16. Ιβηρικό “El Dorado”). Ώστε η Καλυψώ δεν ήταν μια νύμφη, στη νήσο Ωγυγία, όπως λέει ο Όμηρος. Ανασκευάζοντας τον μέγιστο των ραψωδών, οι Λουζιτανοί υιοθετούν την Καλυψώ, παρουσιάζοντάς την ως πριγκίπισσα της Ιβηρίας, αφού πατέρας της δεν ήταν ο Άτλας, μα ο Γρήγορις-Gárgoris. Σημειωτέον ότι παραμένουμε στα ίδια μέρη, όπου είχε φτάσει παλαιότερα και ο Ηρακλής, για τα μήλα των Εσπερίδων και τα βόδια τού Γηρυόνη. Εικάζεται πως εκεί κοντά στις Ηράκλειες Στήλες πρέπει να βρισκόταν και η Ωγυγία, μια και ο Οδυσσέας χρειάστηκε να ταξιδεύει επί 18 μέρες, με ανατολική κατεύθυνση, για να φτάσει στην Σχερία, το νησί των Φαιάκων, που πολλοί ταυτίζουν με την Κέρκυρα. Σύμφωνα με μια εκδοχή, η Ωγυγία ήταν μια από τις Στήλες, η νυν ισπανική Ceuta στο Μαρόκο, απέναντι από την άλλη Στήλη, τον βράχο τού Γιβραλτάρ. Αν και δεν είναι νησί τώρα, δεν αποκλείεται να ήταν κατά την ομηρική εποχή. Σύμφωνα με τον Ησίοδο, ο πορθητής τής Τροίας, αλλά και ικανού αριθμού… γυναικών (πολύτροπος γαρ), απέκτησε συνολικά 16 γιους και μια κόρη από έξι γυναίκες. Στον μακρύ κατάλογό του, όμως, δεν περιλαμβάνει κανένα παιδί από την Καλυψώ, ή κάποιαν άλλη, που να λέγεται Άβιδις, Habis, ή κάπως έτσι. Τρεις γιους απέκτησε από την Πηνελόπη, έναν από την κόρη τού Θόαντα του Αιτωλού, οκτώ γιους και μια κόρη από την Κίρκη, δυο γιους από την Καλυψώ, έναν από την Καλλιδίκη, τη βασίλισσα των Θεσπρωτών, που την παντρεύτηκε αργότερα, κι έναν ακόμη από την Ευίππη, κόρη τού Τυρίμμα, βασιλιά τής Ηπείρου. Σημειώστε πως αν δεχτούμε το ησιόδειο γενεαλογικό δένδρο τού Οδυσσέα, με τα εννέα παιδιά από την Κίρκη και τα δυο από την Καλυψώ, θα πρέπει ν’ αντιστρέψουμε τον κατά τον Όμηρο χρόνο παραμονής του κοντά στις δυο νύμφες (έναν χρόνο με την Κίρκη κι επτά με την Καλυψώ). Φυσικά, με τέτοια πανσπερμία, ο Οδυσσέας θα κινδύνευε περισσότερο να σκοτωθεί από το χέρι κάποιου… δικού του – όπερ και εγένετο: Σύμφωνα με τη συνέχεια της Οδύσσειας, το τελευταίο επεισόδιο του Επικού Κύκλου, την Τηλεγόνεια, ή Τηλεγονία, ή Θεσπρωτίδα, που αποδίδεται στον Ευγάμμονα τον Κυρηναίο, ή στον Κιναίθωνα τον Λακεδαιμόνιο, ο Τηλέγονος, γιος του από την Κίρκη, αναζητώντας τον πατέρα του, αποβιβάζεται στην Ιθάκη και – κατά την προσφιλή συνήθεια της εποχής – κατασφάζει τους πάντες, ανάμεσά τους και τον γεννήτορά του. Συνειδητοποιώντας πως έγινε πατροκτόνος, τον πιάνουν οι τύψεις, παίρνει τη σορό, τον ετεροθαλή αδερφό του, Τηλέμαχο, και την Πηνελόπη, και τους πάει στο νησί τής μάνας του, που τους κάνει αθάνατους. Το έπος τελειώνει εκεί, μ’ ένα happy end αντάξιο ελληνικής ταινίας τού ’60: με τους γάμους τής Κίρκης με τον Τηλέμαχο και της Πηνελόπης με τον Τηλέγονο! Μόνον τον καημένο τον Οδυσσέα τον έφαγε το μαύρο χώμα! “Σαν γεννήθηκε ο Άβιδις,” λέει ο Barreto, “ο Γρήγορις διέταξε να τον πετάξουν σε μια σπηλιά για να τον κατασπαράξουν τ’ άγρια θηρία. Ανταποκρινόμενος, ωστόσο, στις ικεσίες τής κόρης του, συναίνεσε να παραδοθεί το παιδί στη Μοίρα, σύμφωνα με το πανάρχαιο έθιμο, κι έτσι το έβαλαν σ’ ένα καλάθι, που το παρέσυρε το ρεύμα τού ποταμού [Τάγου]. (δ) Το παιδί υιοθετήθηκε από μια ελαφίνα, και όταν βρέθηκε αργότερα σε άγρια κατάσταση από κάποιους κυνηγούς, η μητέρα του το αναγνώρισε από ένα σημάδι. Ο Γρήγορις ξέχασε τον προηγούμενο θυμό του και του έδωσε δασκάλους, έτσι ώστε να τον διαδεχτεί στη διακυβέρνηση της χερσονήσου. Το τοπωνύμιο Έσχα-Άβιδις, ή Εσχάλαβις (Escalabis), στα ελληνικά σημαίνει ‘τροφή που έφαγε ο Άβιδις’,(ε) σε ανάμνηση του τόπου όπου ανατράφηκε από την ελαφίνα. (δ) Βιβλική η εικόνα με τον “Μωυσή μωρό” στα νερά τού Νείλου: ουδεμία πρωτοτυπία στην ιουδαϊκή μυθολογία, αν και περιβάλλεται πλέον από “δογματικό κύρος”… (Βλέπε και Χρονικά 13. Αιγαίον – Κνωσός, Μυκήναι, Ίλιον, και 16). (ε) Η ἐσχάρα, ή σχάρα, είναι συνώνυμη στ’ αρχαία ελληνικά με την ἑστία, που η αρχική της σημασία ήταν πυροστιά (πυρ + εστία), φωτιά στο τζάκι, όπου ετοίμαζαν το φαγητό. Η εστία συνεκδοχικά απέκτησε και τις έννοιες της οικίας, της οικογένειας, της πατρίδας, μα και του βωμού, του θυσιαστήριου, ενώ συνδέθηκε με την θεά Εστία. Από την εστία βγαίνει και το εστιατόριο. Η εσχάρα παραπέμπει επίσης στο τζάκι, το μαγκάλι, τον βωμό, και την φωτιά σε κάθε σκοπιά τού στρατοπέδου. και Λεόν). Μοναδικό για την εποχή δείγμα διαφάνειας. “Ως προς την ιστορία, οι Ρωμαίοι ανοικοδόμησαν την πόλη το 153 μ.Χ. και την ονόμασαν Scalabis-castrum, ενώ ο Ιούλιος Καίσαρας την ανέδειξε σε πρωτεύουσα – μια από τις τέσσερις της Λουζιτανίας. Το 500 μ.Χ., όταν οι Βησιγότθοι έφτασαν στη Λουζιτανία, οι βάρβαροι και οι Λουζιτανοί συγχωνεύτηκαν σ’ έναν λαό. Το 632 στο Tomar μαρτύρησε η μοναχή Ειρήνη. Η σορός της πετάχτηκε στο ποτάμι και τα νερά τη μετέφεραν στην Scalabis. Μετά από 19 χρόνια, ο βασιλιάς Ρεκεσβίντος, που ήταν καθολικός,(ς) άλλαξε τ’ όνομα της πόλης από Scalabis σε Santa Irene. Όταν οι Άραβες κατέλαβαν την πόλη (715), την είπαν Chantireyn”, κι έτσι οδηγηθήκαμε στη σημερινή ονομασία Santarém. (ς) “Καθολικός” γράφει από κεκτημένη ταχύτητα ο Barreto, αντί για “χριστιανός”, όπως θα ήταν πρέπον, αφού δεν είχε γίνει ακόμη το Σχίσμα. ΟΙ ΕΛΛΗΝΟΪΒΗΡΙΚΟΙ ΔΕΣΜΟΙ, που σαφώς υπαινίσσεται η πορτογαλική μυθολογία, ανάγονται σ’ εποχές κατά πολύ παλαιότερες του Τρωικού πολέμου, εποχές προελληνικές, της μινωικής θαλασσοκρατορίας στη Μεσόγειο: ήταν δηλαδή κρητοϊβηρικοί. Ένα κοινό πολιτισμικό χαρακτηριστικό Κρητών και Ιβήρων ήταν η λατρεία τού ταύρου: τα ταυροκαθάψια και οι ταυρομαχίες (βλέπε και Χρονικό 12. Κρητομινωική Θαλασσοκρατορία). Κρητοϊβηρικοί δεσμοί λόγω της μινωικής θαλασσοκρατορίας στη Μεσόγειο. Ένα κοινό πολιτισμικό στοιχείο Κρητών και Ιβήρων ήταν η λατρεία τού ταύρου: τα ταυροκαθάψια. (ζ) Ο πρόγονος του ταύρου τής Ιβηρίας, ο aurochs, σύμφωνα με περιγραφή τού Καίσαρα, “είναι κάπως μικρότερος από τον ελέφαντα, ταχύς και δυνατός: επιτίθεται στους ανθρώπους, όπως και στα ζώα”. Ένα τέτοιο ζώο, που τ’ ονόμαζαν βούβαλο, κυνήγησε και ο Καρλομάγνος. Επίσης θεωρείται πιθανόν το άγριο ον που σκότωσε ο Αϊ Γιώργης να ήταν aurochs και όχι δράκοντας όπως τον αναπαριστούν οι εικαστικοί. Ο aurochs (aur = άγριος + ochs = βους), ή urus, είναι ο bos primogenius που έχει εκλείψει στην αρχική του μορφή: επιβίωνε ως το 1627 σε δάσος τής Πολωνίας. Εκτός από την έφιππη ταυρομαχία, υπάρχει και η pega – από το ρήμα pegar, που σημαίνει αρπάζω, πιάνω… εννοείται τον ταύρο από τα κέρατα! Σ’ ένα, μάλιστα, είδος πέγκας, ο λεγόμενος forcado δεν είναι μόνον εντελώς άοπλος, αλλά δεν έχει και τίποτε για να κοροϊδέψει τον επιτιθέμενο ταύρο (λ.χ. κάπα). Πρέπει ν’ αντέξει την αρχική σύγκρουση, με το τρομερό βάρος τού ζώου επαυξημένο λόγω της ταχύτητας, καθώς και τα επακόλουθα τινάγματα του ταύρου, ώστε ν’ απαλλαγεί από τον ανεπιθύμητο, που του έχει κάτσει κυριολεκτικά στο σβέρκο. Στην pega υπάρχουν κι άλλοι forcados, συνήθως οκτώ, που βοηθούν στην καθήλωση του ταύρου. Είναι αυτή ακριβώς η εικόνα που έχουμε και από τα ταυροκαθάψια σε τοιχογραφία τού 15ου αιώνα ΠΚΧ στην Κνωσό. Δεν είναι εντυπωσιακό; Μάλιστα, ανάμεσα στους ταυροκαθάπτες περιλαμβάνονται και γυναίκες! ● Τα ταυροκαθάψια ήταν μινωικό τελετουργικό σχετικό με τη λατρεία τού ταύρου όπου, σε αντίθεση με την ταυρομαχία, ο ταύρος δεν σκοτωνόταν. Πέρασε στους Μυκηναίους και ονομάστηκε στα ελληνικά ταυροκαθάψια: από τις λέξεις ταῦρος και κάθαψις, ένα σπάνιο ουσιαστικό που απαρτίζεται από τα κατά– και ἅπτομαι. Έτσι, ταυροκαθάψια σημαίνει κυριολεκτικά “άγγιγμα του ταύρου”. Παραστάσεις (νωπογραφίες, αγαλματίδια, σφραγίδες) του τελετουργικού, εκτός από την Κρήτη, την Πελοπόννησο, και κάποια άλλα μέρη τής Ελλάδας, έχουν βρεθεί στη Μικρά Ασία (Σμύρνη και Χαττούσα), στην Χαναάν, την Αίγυπτο, τη Βακτρία, και την Κοιλάδα τού Ινδού. ● Τα ταυροκαθάψια στην Ισπανία ήταν οι recortes. Οι recortadores συναγωνίζονταν στο ν’ αποφεύγουν ή να πηδούν πάνω από ταύρους, χωρίς κάπα, ή ξίφος. Κάποιοι, μάλιστα, χρησιμοποιούσαν ένα μακρύ κοντάρι, κάνοντας κυριολεκτικά άλμα επί κοντώ πάνω από το επιτιθέμενο ζώο, που δεν είχε σχοινί, ή κάτι παρόμοιο, να το συγκρατεί για λόγους ασφαλείας. Οι recortes ήταν συνηθισμένες στον 19ο αιώνα. Απεικονίζονται σε χαρακτικά (οξυγραφίες) τού ζωγράφου Francisco Goya. ● Στην Πορτογαλία, η δεύτερη φάση τής ταυρομαχίας ήταν η pega (“λαβή”), στην οποία αναφέρεται ο Barreto. Οι forcados προκαλούσαν τότε το ζώο άμεσα, χωρίς προστασία ή όπλο. Ο “κορυφαίος” έκανε τον ταύρο να επιτεθεί για να εκτελέσει μια pega de cara (“λαβή προσώπου”), αρπάζοντας το κεφάλι του, ενώ οι σύντροφοί του τον περικύκλωναν για να τον καθηλώσουν. Ο ταύρος δεν σκοτωνόταν στην αρένα μπροστά στο κοινό, αλλ’ αργότερα από κάποιον χασάπη. Υπήρχαν ταύροι που, λόγω εξαιρετικών επιδόσεων, γιατρεύονταν και αφήνονταν ελεύθεροι σε βοσκότοπους γι’ αναπαραγωγή ως τον θάνατό τους. ● Σε μια “ασφαλέστερη” παραλλαγή του τελετουργικού, στη γαλλική Γασκωνία, χρησιμοποιούνταν όχι ταύροι, αλλά μοσχάρια, που είχαν επιπλέον μακριά σχοινιά δεμένα στα κέρατα τους για να τα ελέγχουν, καθώς κατευθύνονταν προς τους sauteurs (άλτες) και τους écarteurs (εκείνους που προσπαθούσαν ν’ αποφύγουν το ζώο), για να μην ποδοπατηθούν, ή χτυπηθούν με τα κέρατα, αν αποτύγχαναν σε κάποια προσπάθεια. ● Στη μακρινή νότια Ινδία, στο Tamil Nadu, υπήρχε ένα σχετικό τελετουργικό, το jallikattu, κατά τους εορτασμούς τής συγκομιδής. Οι συμμετέχοντες πηδούσαν πάνω στον ταύρο, προσπαθώντας να πιάσουν τα χρήματα, που υπήρχαν σε πακετάκια, δεμένα στα κέρατά του, ως έπαθλο. Ήταν ένα έθιμο αρχαίο, καθώς βρίσκουμε απεικονίσεις του σε βραχογραφίες, που χρονολογούνται στον 3ο ΠΚΧ αιώνα τουλάχιστον.